New Hampshire native Franz Nicolay is back with a new album and a full band headlining tour to celebrate it. This week’s song of the week is taken from his latest album To Us, The Beautiful which came out just last week. Be sure to catch Franz out on tour the next few months supporting the album’s release. The February dates are for the US shows but if you scroll down just a little farther, British followers, you’ll see some tour dates with your name on them in March! 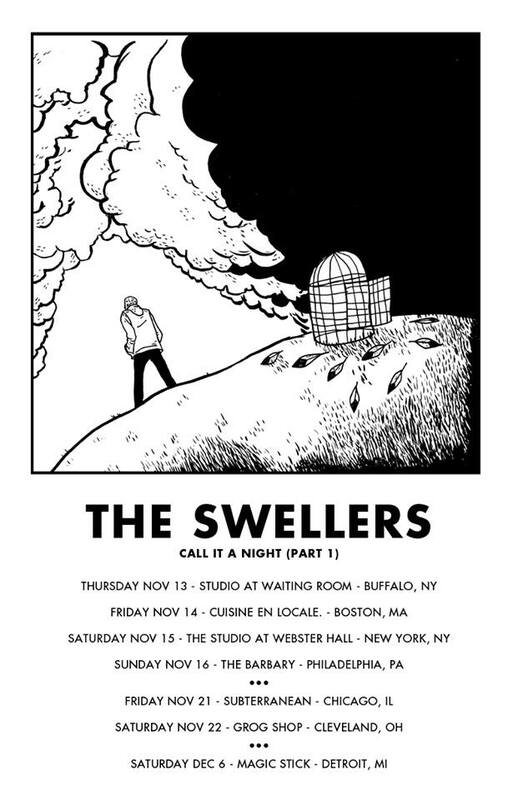 Michigan-based punk band The Swellers have released the dates for their “Call It a Night” tour, following the announcement earlier this year that they would be “retiring”. Unlike most hiatus announcements, this news came with more of a feeling of finality, as the band announced via twitter on July 28 “we’re just… retiring. We are just done, and it was good”. The Swellers stated that these will be the last shows they play in these cities, which so far includes Buffalo, Boston, New York City, Philadelphia, Chicago, Cleveland and Detroit. Check out the band’s music video for “The Best I Ever Had” and kick your week off right with this anthemic, nostalgic look back at the happiest memories the band’s lyricist has experienced. Check out the dates and cities below to see if The Swellers will be making their way to your hometown; the band will be adding more dates in the coming weeks, so no need to fret if your city isn’t listed! We all have things we hate and Michael David Rosenberg doesn’t hesitate to lay them out in his song “I Hate.” The only recorded version of this song that exists is taken from this very live performance at The Borderline in London. Today was a tough day, for a lot of reasons. On my lunch break at work I craved some down time so I relocated to the empty corner of Starbucks and plugged in my head phones. On a whim I put Birthdays by Keaton Henson and it was the perfect soundtrack to my day. This song in particular, with its mix of vulnerability and defiance, has always been one of my favorites which is why I chose it for this weeks music Monday track. I hope you enjoy it as much as I do. Today’s Music Monday song comes from 21 year old George Ezra. His song “Budapest” is a catchy indie folk track with a soulful vibe and it’s sure to get caught in your head after every listen. But that’s a good thing. Did you know that a handwritten copy of Dylan’s lyrics for “Like a Rolling Stone” recently sold at an auction for $2 million? “How does it feel,” indeed. This week I was at a loss as to what to suggest for a Music Monday track so I put my music on shuffle and picked the first song that came on. Cue Ben Howard. Every Kingdom has always been one of my favorite albums to listen to in the spring/summer with the windows down so it really is a perfect choice for today.